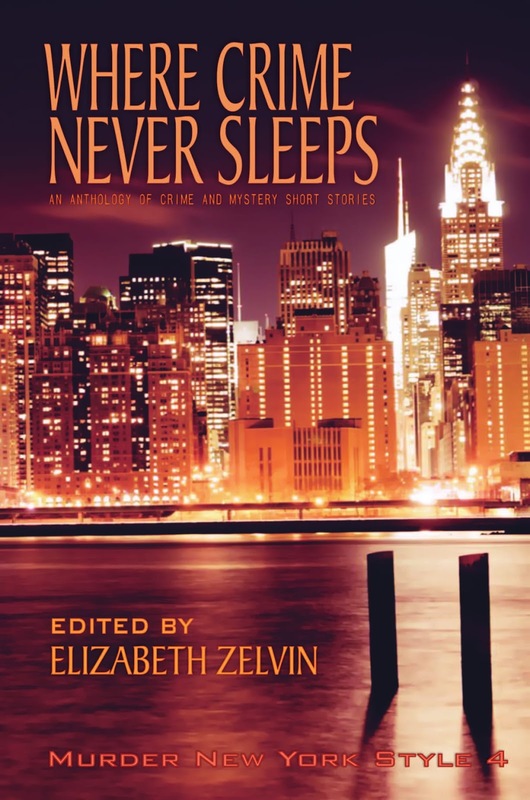 When I agreed to serve as editor of Where Crime Never Sleeps, the fourth volume of the Murder New York Style anthology series from the New York/Tri-State Chapter of Sisters in Crime, I knew the process had to take place online. I had been a professional editor myself for many years. I had used Track Changes, the editing feature of MS Word, with editors of my own fiction. Furthermore, in my “other hat,” I am an online therapist, a pro at text-based communication and relationships in cyberspace. Yet the alchemy of the online editorial process produced benefits that came as a complete surprise. One was stronger stories than I believe could have been achieved by the passing back and forth of marginal scribbles and a couple of rounds of sticky notes. Another was a dialogue between editor and individual authors that took on depth and complexity throughout the process and created bonds that would not have existed otherwise. Essential to the process was Track Changes. Compared to paper sticky notes (and before that, marginal slips you had to lick—remember those? ), Track Changes balloons are infinitely expandable. It wasn’t just a matter of my offering a suggestion, making a correction, or asking for clarification; of the author complying, explaining, or offering an alternative. We could engage in an ongoing dialogue. In a sense, the margins became a mini-chat room. If we needed to converse at greater length, we could move on to emails at any time. The intensive electronic editing process—three rounds of edits—lasted from early April to mid-May. Then came a final trickle of queries through mid to late June, as I noticed unresolved issues, some quite important, while preparing to send the manuscript to the publisher, Level Best Books. In one case, when I got no answer to my email, I phoned the author, thinking the number I had, with a New York area code, must be her land line. Oops. It was her cell phone, and she was at a funeral in Montana—but she answered my question. "Stop, or I'll shoot!" the six-foot, blue-eyed, blonde police officer said. Physical characteristics are better integrated into the narrative or left out altogether. Certain small flaws cropped up in story after story, including my own. These were stage directions that failed to offer fresh language or to advance the plot. I kept highlighting these brief sentences, noting: “Delete. Adds nothing, slows the pace.” I was an offender like everybody else. On the final pass, I found the following passage in my own story. “She’s got a point, Mr. Jones,” he said. “She is good at asking questions, Mr. Bones,” I said. Out came “Jimmy and I looked at each other.” It wasn’t needed. Why hadn’t I seen that before? I hadn’t edited sixteen other stories before. 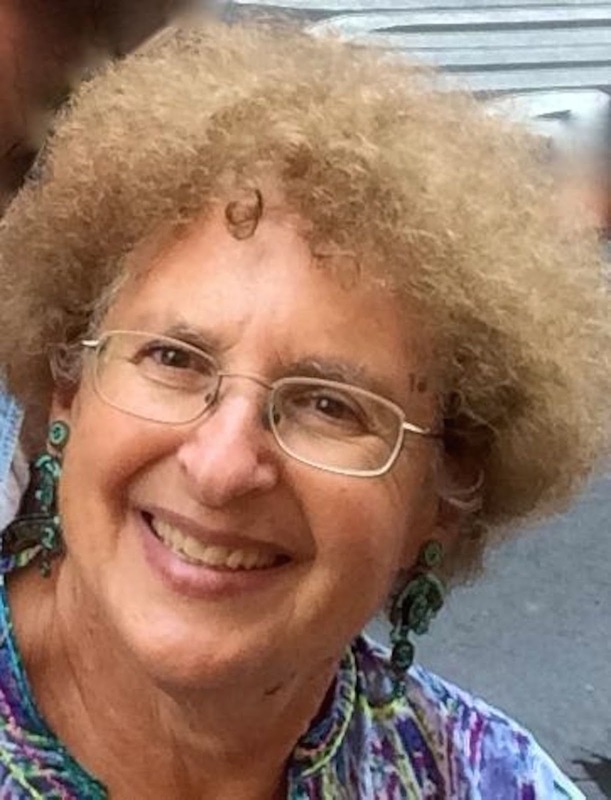 Since the New York/Tri-State Chapter of Sisters in Crime is responsible for the Murder New York Style anthologies, the contributors come from quite a small pool. Those of us who have been around for a while know each other. On the other hand, many of those who submit stories are relative newcomers. I couldn’t have put names to the faces of some of the authors whose stories I edited, though I might have met them at one or two of our monthly meetings. But after working intensively with them online, I did know them, and they knew me. We had developed a relationship. As a psychotherapist with long-term online clients, I can assure you that genuine emotion, relationship, and personal growth are possible in text and in cyberspace. People who have greeted online writer friends with a hug the first time they met them face to face at Bouchercon or Malice know what I’m talking about. Did you ever hug an editor with whom you’d only exchanged query letters and paper manuscripts? Our SinC chapter ends the season with a party in June at a delightful venue, the Cowgirl Hall of Fame in Greenwich Village, before breaking for the summer. This year, every anthology author present whom I hadn’t known before had the same impulse I did: we peered at each other’s name tags, laughed, and flung our arms around each other. Besides editing Where Crime Never Sleeps: Murder New York Style 4 (Level Best Books), which includes her story, "Death Will Finish Your Marathon," Elizabeth Zelvin is the author of the Bruce Kohler Mysteries, set in New York City, and the Mendoza Family Saga, historical fiction about a Jewish brother and sister who sail with Columbus and later find refuge in the Ottoman Empire. Liz's short stories have appeared in Ellery Queen's Mystery Magazine and Alfred Hitchcock's Mystery Magazine. They have been nominated twice for the Derringer and three times for the Agatha Award for Best Short Story. Great insight into the editing process, Elizabeth! Really enjoyed it. Such a terrific post, Liz! Your experiences sound great, and the insights are wonderful. I had (on a smaller scale) some similar experiences when I edited the Bouchercon anthology Murder Under the Oaks and it's interesting how relationships formed there that have continued now to be among some of the closest I've had in the mystery community—either cementing relationships I already had or starting up friendship and correspondence that's continued today. And hey, need to pick up your anthology myself! Editing is the hardest job there is. You have to find the balance between tightening and clarifying, and still letting the writer's voice and style shine through. Tricky! I've never been a fan of track changes for editing, but your discussion shows me I should go back and rethink that opinion. Great to have you back and I think your writers are lucky to have such a careful editor. Thanks, everyone, and thanks to all you crime writers and crime fighters for allowing me permanent status as a pop-up SleuthSayer. After 15 years of editing textbooks and reference books, I loathed editing, so it's been a surprise to me how much I've come to enjoy editing fiction, which requires a different skill set on top of the basics that I learned at my mother's knee (literally—long story that I probably blogged about at some time years ago). 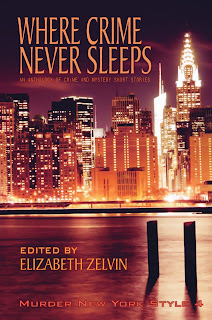 It's launch day today for WHERE CRIME NEVER SLEEPS, so you can get it as a gorgeous trade paperback as well as an e-book from Level Best and online booksellers. We'll be at the Brooklyn Book Festival next Sunday ("we" being the New York/Tri-State Chapter of Sisters in Crime), and you're all invited to the launch party at the Mysterious Bookshop in lower Manhattan on October 18. Great post, Liz - I hope I have you as my editor some day. Very interesting post Liz. Many thanks. Wonderful post, Liz. And it was fabulous working with you! I really felt that I grew as a write from all of your comments, and that you helped me to deliver the best story possible. Liz, you are an awesome editor and a dear friend. Thanks for urging me to submit a story. Thanks for making my story shine. And thanks for teaching me how to use "track changes." :) Oh, and in case this gets posted under Mozart's name (he's so pushy sometimes), this is from Mary Moreno. Wolfgang, you are such a kidder. I know it's really you. When are you going to write me a sonata? ;) Seriously, Mary, I love it that "Blood on the Floor" added not only the elegant world of Carnegie Hall and but also the worlds of jazz musicians and backup singers to the multifaceted New York of Where Crime Never Sleeps. Good column, Liz!! Enjoyed this. Liz, you are fantastic! You really made me put my bet foot forward. Thank you for that !! !